At CL Design-Build, we’ve always prided ourselves in keeping our clients informed of the progress of their new home. But, we wanted to make it even better and we did. 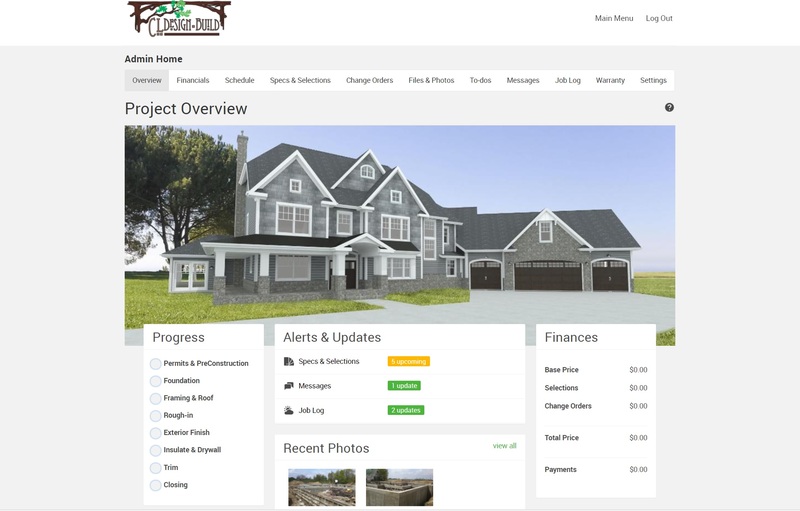 CL Design-Build now utilizes an incredible app that gives our clients 24/7 access to information. Our clients can be anywhere, at work or at home, open the CoConstruct app from their phone, tablet or computer, and see the progress of their home, track the schedule, see selection options and message our team. This tool, in addition to our Interior Designer and our Selection Coordinator, helps our clients every step of the way from simplifying the selection process to offering a communication tool to ensure we are all on the same page. Not only is this program great for our clients, but it's also a great way to keep all our communication in one place. Besides being able to message our clients and comment on selections, we are able to send to-do lists and work orders to our vendors. It’s an easy way for them to be able to schedule our project and also be able to see the timeline ahead and what was selected by our clients. With everyone being so accessible to email and text messaging these days, there's no ignoring our requests or our clients. It is important that CL Design-Build clients see exactly what is selected every step of the way. The CoConstruct app gives us a great way to show our clients their options and to allow them keep track of everything in the custom home build process.